Crocolandia is a conservation park. 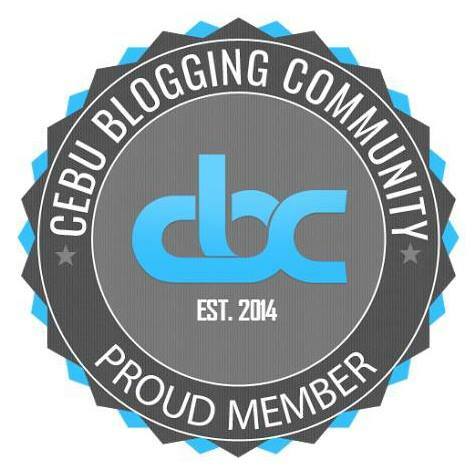 It is the first of its kind in Central Visayas. 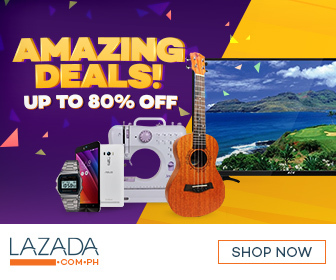 They promote the importance of protecting the rich biodiversity of the Philippines. They do this through animal interaction and various educational programs. Adults pay an entrance fee of PhP 100. Kids pay half the price. Donations are appreciated. You can also buy a live chicken so you can watch it fed to a crocodile. Cost of a live chicken is PhP 100. 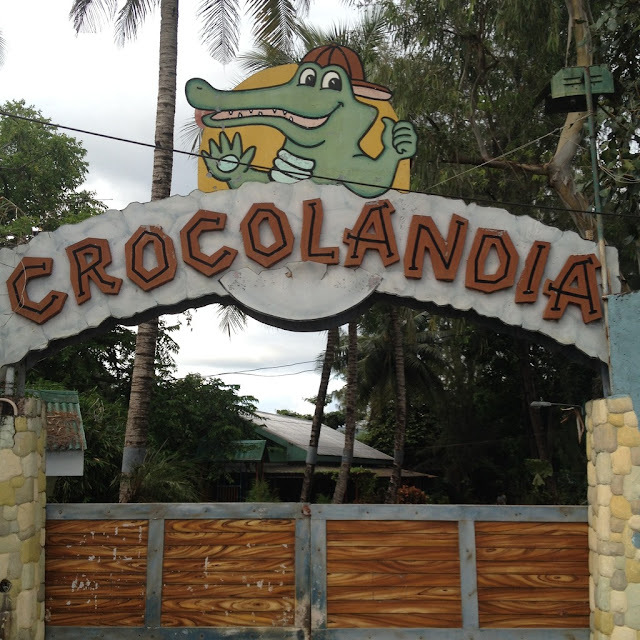 Crocodiles are the main attraction at Crocolandia. There are Philippine freshwater crocodiles and Indo-Pacific crocodiles in the park. The park also has caimans which are not true crocodiles. They are more closely related to alligators. The Philippine freshwater crocodile is a critically-endangered species. It is the most severely threatened species of crocodiles. The Indo-Pacific crocodile is the largest of all living reptiles. It is also the largest terrestrial and riparian predator in the world. The largest crocodile in the park is an Indo-Pacific crocodile. He is more than 15 feet in length and weighs more than 1000 kilograms. Known as Lapulapu, it has lived for more than 50 years. The park used to breed crocodiles. They have since stopped the breeding. That's because they currently have a lot of young crocodiles to take care of. You can watch park staff feed a crocodile with chicken. As previously mentioned, just pay for the chicken. 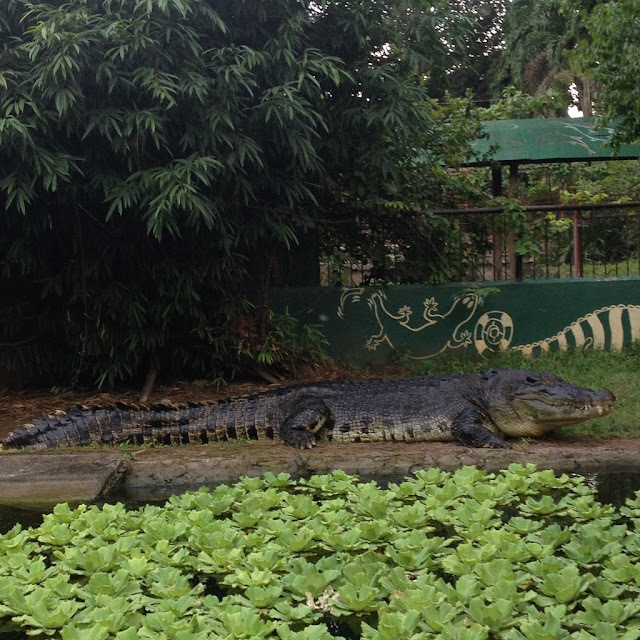 On Sundays at around 4 p.m., the park also publicly feeds the largest crocodile in the park with one chicken. We went there on a Sunday so we were lucky to witness this. Other animals are also featured in the park. They have birds, mammals, and other reptiles. Many of these animals are already considered endangered species. My nephew had a lot of fun interacting with many of the animals. 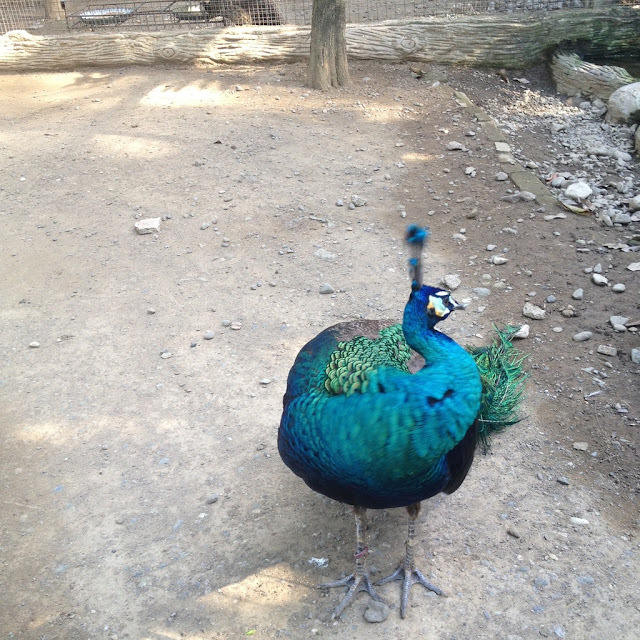 Various kinds of birds are in captivity at the park. The park takes care of several kinds of hornbills. Some of the birds are endemic to the Philippines. Others are of foreign origins such as ostriches. 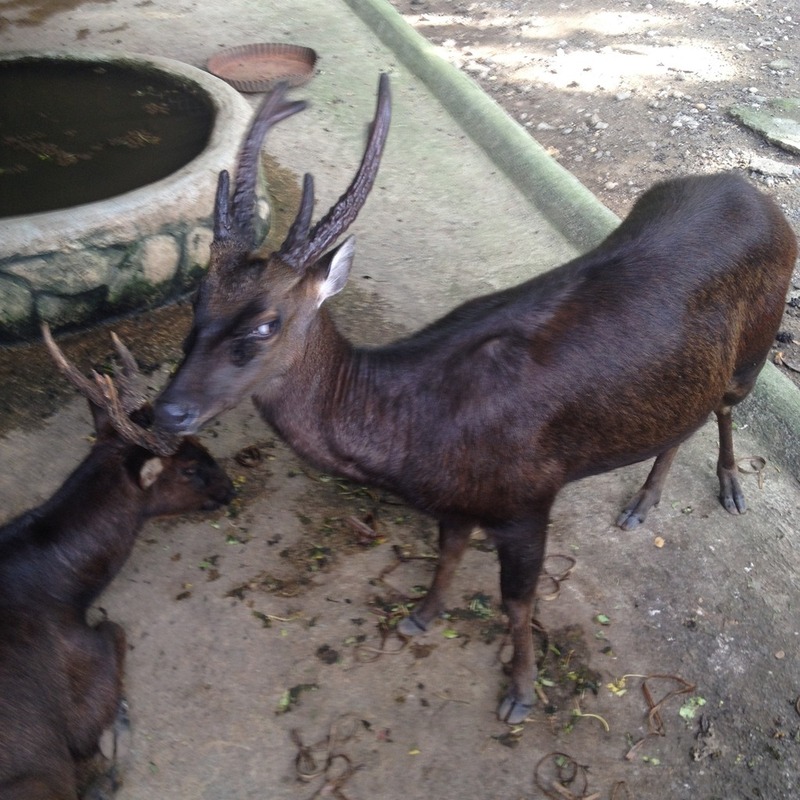 Many of the mammals at the park are endemic to various areas in the Philippines. Some of them are the Visayan warty pig, the tarsier, the Palawan bearcat, and the Philippine brown deer. The bearcats were sleeping when we visited. The tarsiers also shied away so we did not get a glimpse. 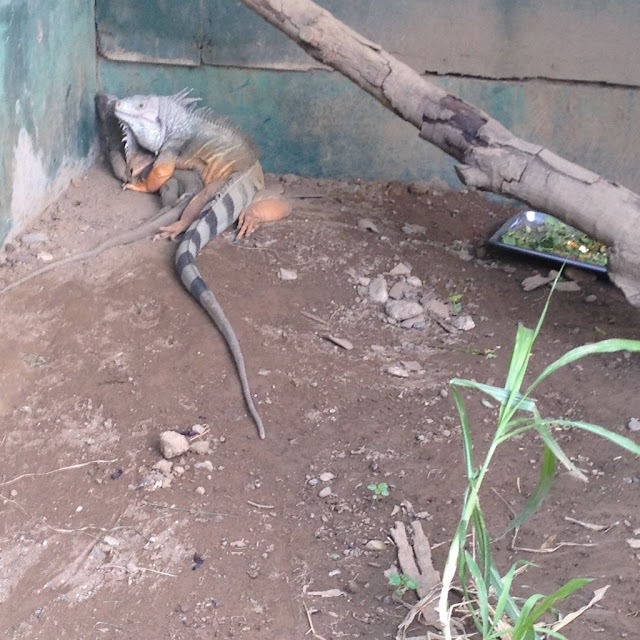 Other reptiles at Crocolandia are pythons, turtles, tortoises, lizards, and iguanas. 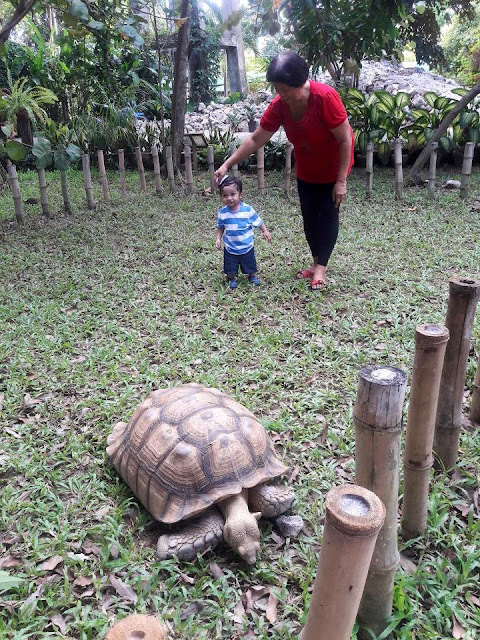 On Sundays, they let a tortoise interact with park visitors at around 3 p.m. The same goes for a python at 3:30 p.m.
Crocolandia is located at Zone 5, Biasong, Talisay City, Cebu. 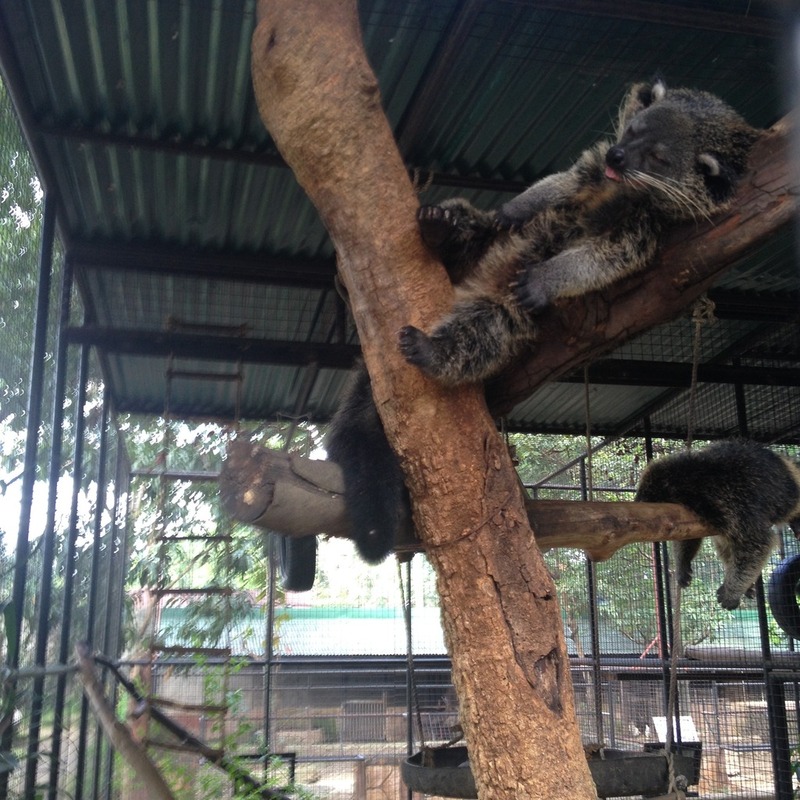 They may be reached through email at crocolandia_foundation@yahoo.com and telephone numbers +63 32 511 9857 or +63 32 273 1842. One may also visit their website and Facebook page. Have you visited Crocolandia Park? You may tell us about your experience in the comments section below. Hi Sir Thad, do you know how to reach the place if I'm just going to commute?